The Atkinson Kids Basketball (AKB) Program is a great way to enjoy learning and playing basketball. All Atkinson 3rd, 4th, and 5th grade girls and boys who want to play basketball are invited to sign up and play. WHAT IS ATKINSON KIDS BASKETBALL? HOW DOES IT WORK? 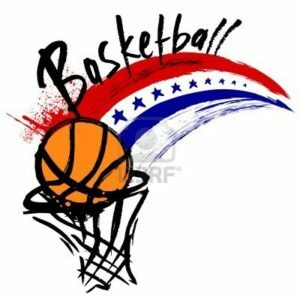 The Atkinson Kids Basketball Program is a basketball league that encourages fun while teaching kids the fundamentals of basketball and good sportsmanship. We do not keep score at our games. Atkinson basketball is available to Atkinson students only. There will be eight to ten teams depending on how many students sign up and all games will be among those teams. The teams are co-ed (mixed boys and girls) and mixed grades (3rd, 4th, & 5th). Kids participating do not need to have basketball skills. They only need an interest in playing, a willingness to learn and a commitment to being a good sport. Your player will be assigned to one of the Teams. We do our best to assess Players and Organize Teams for an even mix, by grade, height, gender and skill level. As a result, we try and honor requests to be on the same team as a sibling or a car pool partner, but we cannot honor friend requests. We will notify students of their team assignments. All practices and games are in the Atkinson gym week nights between 6:00 and 9:00pm. Practice and game schedules will be finalized once we have created our league of 8 to 10 teams. For practices, your team will be assigned a one hour slot between 6:00 and 9:00pm. Practices will start the last week of November and are usually twice a week until the December Winter Break. Games will begin in January and will end by Spring Break. When games start, practices will be held once a week on Monday, Tuesday or Wednesday and each team will play one game each week on either Thursday or Friday. We recognize and understand that many Atkinson students already have other regular commitments. If your child has a regular commitment during the week, please indicate that on your registration form and we will do our best to find a team with a practice schedule that best meets your scheduling needs. Is your child interested in playing Atkinson Kids Basketball but new to the game? Kids in grades 3, 4 & 5 who are registered for Atkinson Kids Basketball but have never played basketball on a team before are invited to join our New Player Clinics during the 2nd week of November ( Tuesday through Thursday 11/13 – 11/15). To get the best start to the program, our volunteer coaches strongly recommend that players new to the game try and come to at least two clinic sessions. The New Player Clinic is intended to give players new to basketball some fundamentals and basic skills before they join an Atkinson Kids Basketball team. New players are not required to participate in the clinic in order to participate in the AKB program but it is a great way to get a head start. Players are welcome to come to as many clinic sessions as they would like. Each clinic session will be very similar in their coverage of basic basketball skills but will really help kids who have never played before to gain some skill and confidence before their first team practice. There is no additional cost to join the New Player Clinic. New Player Clinics are usually scheduled for Tuesday-Thursday, the second week of November from 6:00 to 7:00pm each day. HOW MUCH DOES IT COST TO PLAY ATKINSON KIDS BASKETBALL? We have made a significant change to Donation and Fundraising based PTA Program. The full registration will be a sliding scale from $5 to $20. The registration fee covers the cost of team jerseys, equipment, and the expenses associated with the end of season awards banquet. The Atkinson PTA is committed to equitably offering PTA-managed programs to students regardless of their family’s ability to pay. Registration costs will be waived for all whom qualify for Free and Reduced lunch. See the payment coupon to apply. REGISTER ONLINE: Please save us some data entry and complete your registration online HERE. *We still need your payment and signed payment coupon/waiver turned in to the school office. *The paper form should be submitted with your payment to the school office. Coaches, assistant coaches and referees are needed.